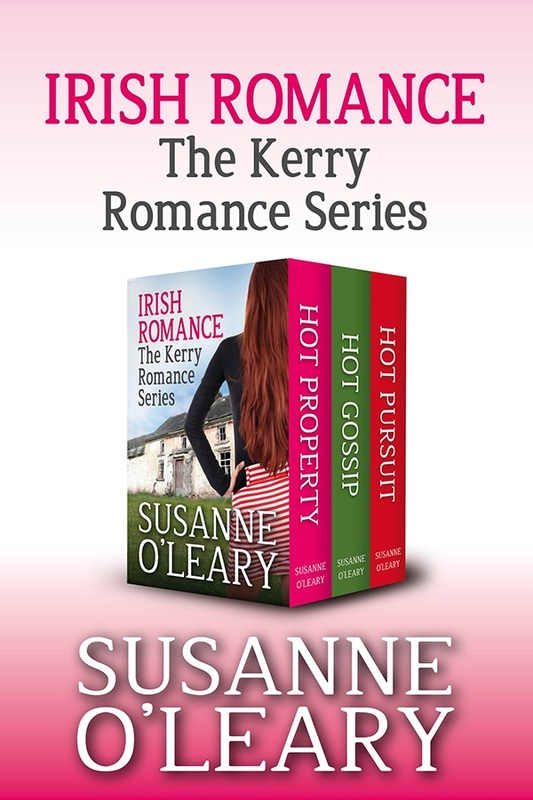 The Kerry Romance Series consists of three books, all set in County Kerry, on the west coast of Ireland. When Janine Marchand leaves her native France for a remote village on the Atlantic coast of Ireland, she hopes to let go of a painful past. She has changed her name and taken on a whole new identity. But the locals are curious and soon tongues start wagging. To complicate matters, Janine gets involved with Mick O’Shea, a handsome man who harbours dark secrets of his own. She is drawn to him even though she knows the attraction might jeopardize the fresh start she is trying to build. When someone in the village alerts the press, Janine must make a decision: run away once more or stay to confront her past. Can you wipe the slate clean and start a new life? Rita O’Brien hopes so. She leaves a broken heart and a failed business in Kerry for a new beginning among the bright lights of Dublin. She soon settles into her new life with new friends, but things get complicated when two men enter her life. Who is the right man for her? Ricardo, with his Latin good looks and easy charm, or Josh, the true-blue friend? The turmoil in her life re-opens new wounds that Rita has kept buried deep inside. She realises she must confront her past and correct a mistake she made years ago. Will she make the right choice when it comes to love? Will her quest to find someone she lost heal her sorrows? Rita tries her best to find the right path in the hot pursuit of her dreams.